How does the cost of a metal roof compare to other roofing materials? This is the most common question we receive. 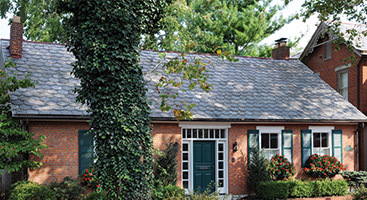 Few homeowners realize that metal roofing can actually cost as little or LESS than traditional asphalt shingle roofing. Additionally, over the life of your home, metal roofing is the most economical roofing material saving you over 60% in total installation, maintenance, and energy costs. 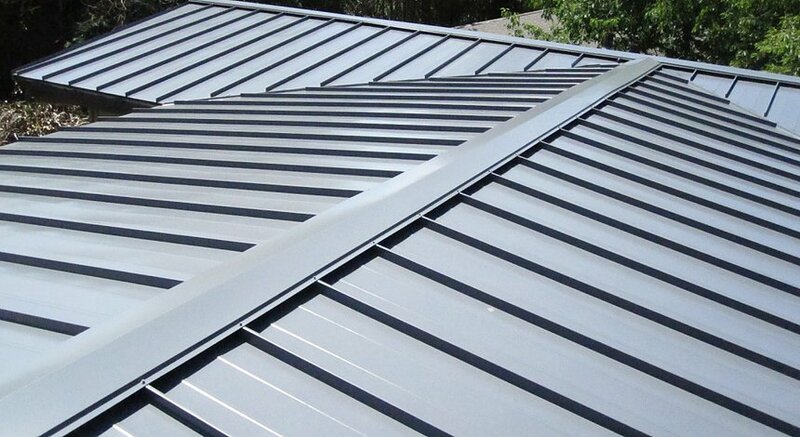 Why should I choose a standing seam metal roof over other roofing materials? Reducing energy bills by reflecting heat in the summer. Reducing insurance prices and chances of structural damage due to severe weather such as hail, high winds, and fires. Lastly, metal roofs are 100% recyclable at the end of a long, useful life making them very environmentally friendly verses asphalt shingles. This reduces the burden on our local landfills. No, this is a common misconception about standing seam metal roofing. Metal roofing is typically installed over a solid deck and underlayment and/or existing shingles. Additionally, attic space and insulation serve as added sound barriers. As a result, the noise levels of a metal roof during inclement weather are the same as an asphalt shingle roof. Yes you can; however, like walking on any roof, you should use caution. You should discuss specific details about walking on your roof with your installation company. Metal roofs are very tough and highly resistant to hail damage, much more so than asphalt/fiberglass shingles. In fact, many metal roofing products have the highest impact resistance and hail rating granted by the insurance commissions in the hail belt regions of the U.S. Some insurance companies even provide a reduced rate for metal roofs. Metal roofing products are extremely wind resistant and can withstand years of abuse from high winds. Wind warranties can be as high as 140 MPH on many styles of metal roofing. Yes, a steel roof is the most fire safe roof and has earned a Class “A” fire rating (the highest level of protection). Because it is made of steel, our metal roof will not burn and is safe from exposure to airborne burning cinders. Surprisingly, metal roofs are significantly lighter than other types of roofs. Typically they weigh less than one-third the weight of asphalt/fiberglass shingles; and are as much as 75% lighter than clay, concrete or slate. 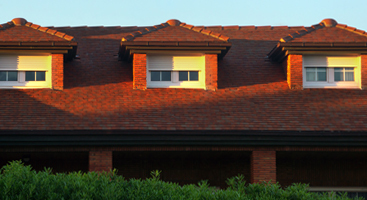 Galvalume coated steel roofing panels are protected by layers of metallic and polymer coatings. Industry studies have repeatedly shown them to outperform the corrosion resistance of other coated metals. The corrosion resistance of our steel roofing is so exceptional, even our unpainted roof panels carry a 25 year limited warranty. We also use the same corrosion resistant steel with our 40-year paint system, providing you the highest level of corrosion protection you can get in the industry. Steel roofing is no more susceptible to lightning than any other roofing material. Actually, since standing seam metal roofing is non-combustible, it is a very desirable roofing option where severe weather is a concern, especially lightning. Usually not if you’re installing the metal roof over existing asphalt, fiberglass or composition shingles (maximum of two layers thick). It’s very common for metal roofs to be installed directly over the old roof. This saves on labor costs and disposal cost for stripping the old roof, not to mention reducing landfill waste. Actually, a metal roof can save you money on your energy bills because it has a higher heat reflectivity than other roofing products like asphalt/fiberglass shingles, wood, tile, etc. Studies have shown you can save up to 25% in energy costs compared to dark-gray asphalt shingles (ORNL, FSEC). During the summer it makes buildings cooler by efficiently reflecting away sunlight and reducing the amount of heat transmitted into the building. Likewise, it makes buildings warmer in the winter by reflecting inside heat from the underside of the roof back into the building. Metal roofing meets the EPA Energy Star Roof Products Program performance criteria. Galvalume is 55% Al-Zn (aluminum – zinc) coated sheet steel that is ideally suited for most types of roofing applications. An estimated 40 billion square feet of galvalume now covers buildings in all kinds of climates and environments throughout the United States, Canada and Mexico, as well as Europe, Asia and Australia. Galvalume is an ideal material for roofing because of its extraordinary outdoor corrosion resistance and resulting long life. It is extremely popular due to its versatility, ease of use, aesthetics and long-term performance. 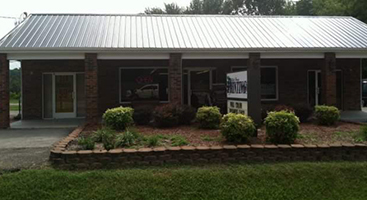 Sparks Roofing can handle any metal roofing job for your commercial or residential needs. Contact us today for a free estimate!